Hen weekends in Cornwall. The Southwest is a veritable playground for fun-loving hens. Hit the coast for water sports, whether it's surf lessons, kayaking or coasteering, or venture inland for adrenaline-fuelled activities such as zip-wiring, paint balling or quad biking. 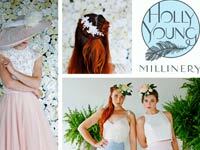 For something more glamorous, consider a vintage tea party, a fascinator party or even a burlesque party! 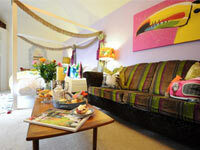 Presiding over Newquay’s famous Fistral Beach, The Headland Hotel makes for a spectacular hen escape. Whether you stay at the gorgeous hotel and enjoy some delicious dining flanked by sea views before indulging in some spa time, a VIP experience for you and your girls is guaranteed. 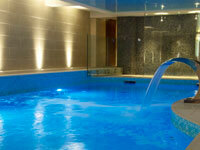 The leisure area includes a heated pool with a jet stream and bubble seats, Swedish sauna, Cornish salt steam room, aromatherapy showers, hot tub, Rhassoul mud chamber and a special spa lounge. From beauty to holistic body massages and Elemis treatments, their extensive menu is just the ticket for a fabulous hen experience. Lower Barns is an award-winning boutique retreat in the heart of the Cornish countryside, close to the sea, where you will enjoy being thoroughly spoilt. 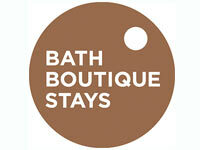 The accommodation is luxurious, gorgeously styled and filled with thoughtful touches. 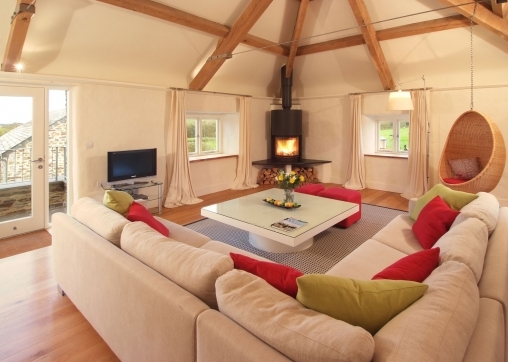 Choose from the Hiding Places, Nook and Cranny: Nook comes with a private courtyard, hot tub and sauna, while Cranny has a private courtyard, hot tub and log burner. Or there's the uber romantic Hideaway where you can savour a private garden and gypsy caravan as well as stunning interiors and luxe touches. Contemporary bespoke accessories hand made to perfectly suit your look. Highly experienced, Holly specializes in feather work, lace and all things beautiful to attire the whole wedding party, including her signature boutonnieres for the groomsmen. Consultations in her Truro studio or via email. 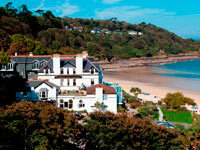 The Carbis Bay Hotel boasts one of the best beachside locations in Cornwall and beyond. What's more, the hotel’s heavenly C Spa welcomes individuals wanting escape, couples desiring downtime or hens looking for some self-indulgent fun. Boasting a sauna pod with sea views, al fresco Jacuzzi and range of relaxing spaces, it offers top facilities amongst utter privacy and exclusivity for a fabulous stress-eliminating experience. Using Voya and Aromatherapy Associates products, their extensive spa menu features everything from Zen pedicures to candle-lit massages. Complete your visit with a spell at the Ruinart champagne bar for an ultra spoilsome treat. 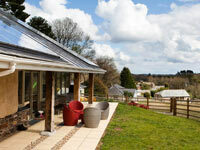 Pick from a plethora of parties for the perfect, tailor-made escape at one of Cornwall's most lusted-after locations. Mesmear is situated over the cliffscapes near Polzeath, presenting luxury contemporary accommodation alongside a host of first-rate facilities for a super stylish and ultra memorable stay. 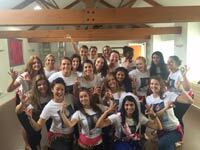 Host a dinner party, sports day, boat trip, surfing lesson, dancing, coasteering, or even butler in the buff - or combine a range of activities for the ultimate in hen weekend escapism. 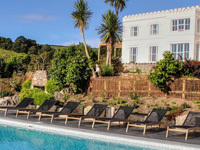 Set within two acres of enclosed, landscaped gardens with spectacular views over the ancient fishing harbour of Mevagissey on Cornwall’s beautiful south coast, this unique property comprises two main houses, Polpier and Penpol. Offering luxury accommodation for a super stylish and spoilsome stay, Polpier sleeps 16 and Penpol, with The Garden House, sleeps 10, giving plenty of space for your hens to revel in some seriously lavish downtime while enjoying an array of top-notch facilities and activities including a swimming pool, tennis court, table tennis, croquet, a private disco and professional catering services. 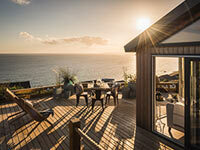 For a dreamy, blissful Cornish honeymoon or hen weekend, Seacrest Mousehole is the perfect choice. Its large decking area boasts panoramic far reaching sea views which stretch from the iconic St Michaels Mount across Mounts Bay to Mousehole. Soak up the fresh sea air from your very own coastal, romantic retreat. Seacrest sits within the exclusive Cornish Cribs collection, available to book through luxury holiday letting specialists, Cornish Gems.